Get the best of both worlds with convenient ProClick spines! Easy to use spines give you a professional presentation with an attractive black plastic spine, but are also easy to open for flexible editing and rearranging. ProClick spines provide optimal versatility. Spines are sturdy to securely hold documents. They're machine-compatible, but can easily be opened by hand to add or remove pages. And they give you 360-degree page-turning capability, for easy reading and photocopying. Trust your important projects to ProClick. 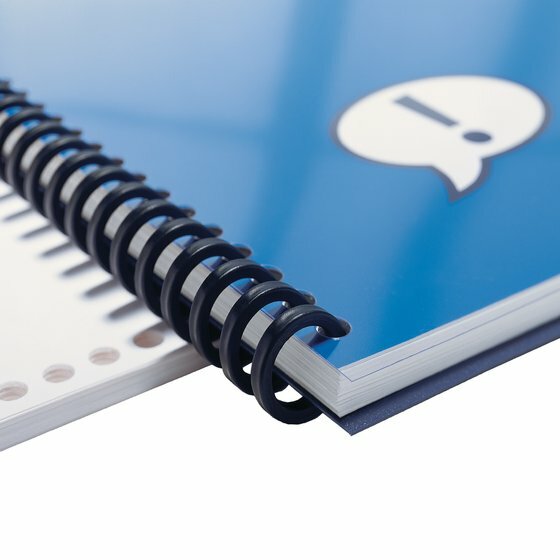 ProClick gives you the professionalism of a sleek, sturdy, black binding, while giving you the flexibility to edit contents. Spines are easy to open and close, using a pen, an editing tool, or even just a finger.